Here's a comic I wrote and drew for the Humane Society International, India to celebrate the ban on shark fin cargo by Jet Airways. A welcome move that must be adopted by all airlines immediately, this was a result of the efforts of activist Chemudupati Samyukta and her team, who have been battling tirelessly for the cause of sharks across the coasts of India. All copyrights to the artwork belong to the HSI. 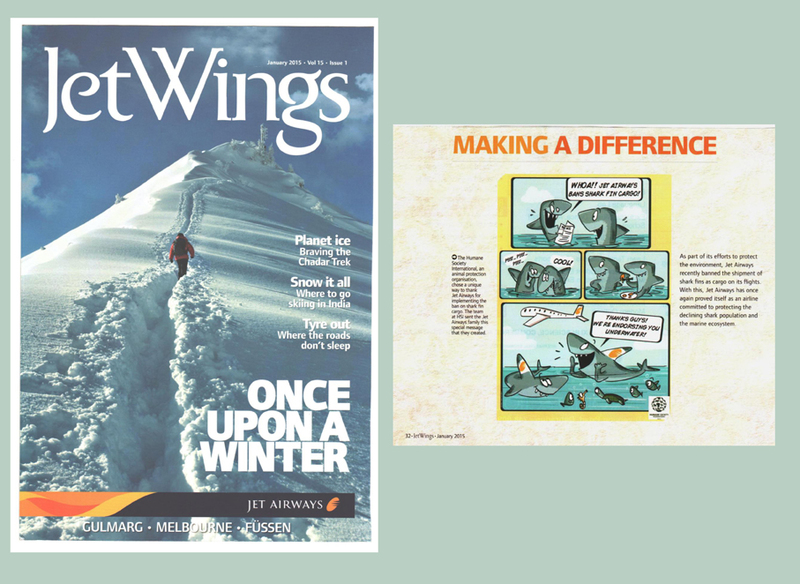 The comic also appeared in Jet Airways' on board magazine 'Jet Wings', in the January 2015 issue.